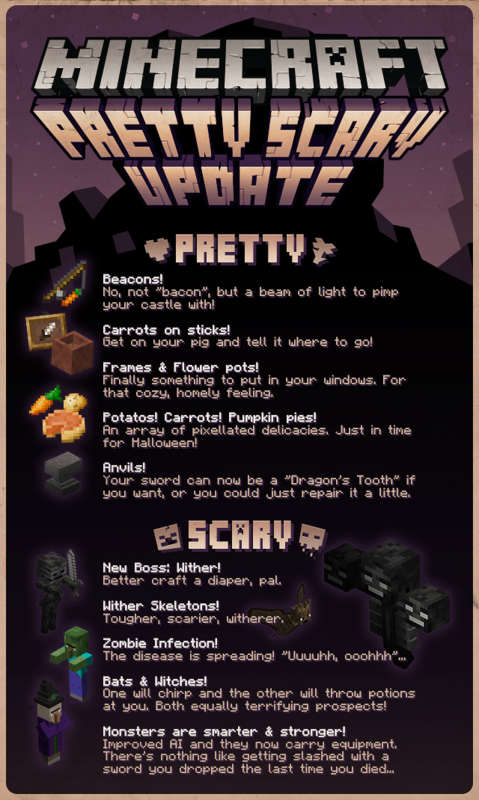 October 26th, 2012 Comments Off on Minecraft 1.4 is Out! The new version of Minecraft came out yesterday! My kids are thrilled, although we also got a copy of Halo 2 for our original XBOX yesterday, so there’s lots of competition for attention.